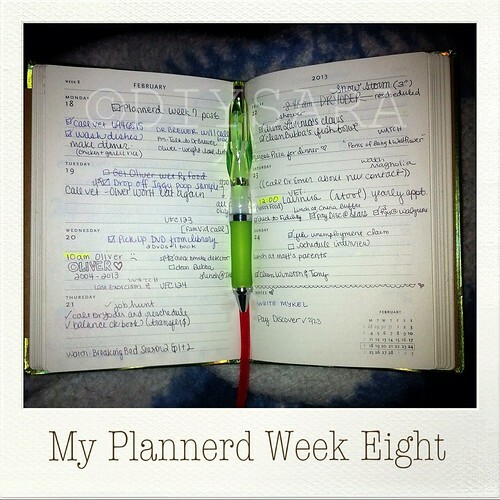 I dug out my Zebra NuSpiral ballpoint pen and used it for most of my planner writing. It’s a great feeling pen with a nice squishy grip. The refill is a fine black. It writes nicely without much pressure. I was gifted a second one with a turquoise grip but had trouble with a blue refill exploding. I had never encountered this problem and contacted Zebra. They were awesome and sent me a replacement turquoise grip pen and refill pack. Unexpectedly, they also sent a blue grip NuSpiral. I’m in NuSpiral heaven! No stickers this week. It’s been a very difficult time. My eight year old doll-face flame point Himalayan cat Oliver was euthanized Wednesday morning. I’ll post about him separately very soon. there is nothing that can be stated about a lost loved one. I’m so sorry for your loss and believe me when i say i totally can empathize.. having just lost both of my surviving grandparents in a month..